Richard Jones Hall can be tricky to find. It is located on the OHSU Marquam Hill campus. Click HERE for a google map. Dr. Sal Mangione, has passionate interest in the works of Leonardo da Vinci, whose anatomical sketches he uses to instruct his medical students. 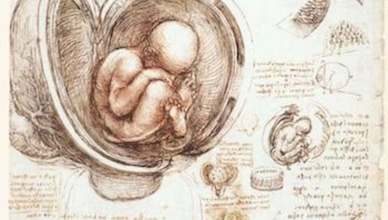 In this talk, Mangione strives to make a connection between Leonardo and Vesalius, the Flemish physician considered the father of modern anatomy. We are at the 500th anniversary of the birth of Vesalius and the 500th anniversary of Leonardo’s last dissections. In their accuracy and mode of representation, these drawings were more than 100 years ahead of their time and Leonardo’s anatomical sketches have retained their currency and are testaments to the power of observation and advancement of medical knowledge. This talk of Dr. Salvatore Mangione will review Leonardo’s amazing contributions to the field of anatomy, which are eons ahead of anything available at the time and trace the specific traits that nurture creativity through the fascinating lens of Leonardo da Vinci’s life. 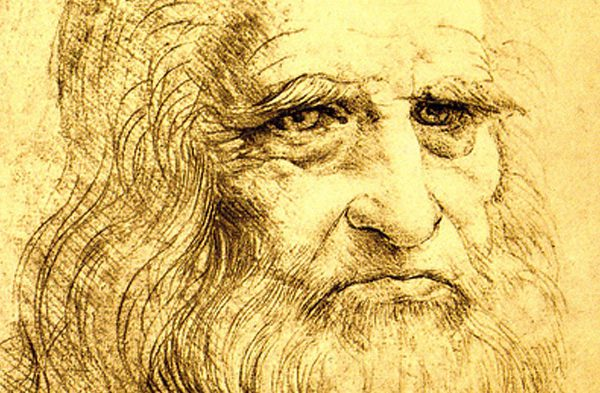 Arguably one of the most creative person who ever lived and exquisitely gifted in both arts and science, Leonardo practiced as a “scientist of art and an artist of science.” Brought to life in this talk, five hundred years later, his anatomical drawings remain testimony to his unique way of engaging the world both artistically and scientifically. SALVATORE MANGIONE, MD, is a clinician-educator at Thomas Jefferson University with a long interest in physical diagnosis, medical history, and community service. His innovative programs and engaging teaching style have been recognized by multiple awards for clinical teaching, and his work has been featured in the New York Times, the Los Angeles Times, the Wall Street Journal, the BBC, CNN, NPR, and Forbes. Dr. Mangione has been an invited speaker at many national and international meetings, especially in regard to using visual arts to teach bedside observation. He is the author of the book Secrets in Physical Diagnosis. This talk is sponsored by the OHSU Department of Medicine. Tuesdays, September 19 – October 24, 2017. 6:30 p.m. – 8:30 p.m. Registration is limited. Secure your spot here. Has your heart warmed, filled, skipped, soared, or been broken? Have you or someone you love suffered heart disease, heart attack, or heart failure? Why does the heart hold such linguistic and symbolic as well as biological import for us? In this seminar, we’ll delve into poetry, fiction, and memoir by authors from Edgar Allan Poe and Kate Chopin to Rita Dove, Margaret Atwood, Brian Doyle, and Maylis de Kerangal, along with articles and popular culture representations of hearts and heart health, as we explore the metaphorical and literal functions of the heart. This Delve will also serve as an introduction to the medical humanities, in which content and approaches from the humanities are used to deepen our understanding of health, illness, medical care, and our emotional relationship to our physical bodies. Participants will need to obtain a copy of Doyle’s book-length memoir The Wet Engine and de Kerangal’s novel The Heart; other readings will be shared via PDF or as handouts. About the Guide: Lois Leveen is the author of the novels Juliet’s Nurse and The Secrets of Mary Bowser, and a Kienle Scholar in Medical Humanities at Penn State University College of Medicine. She has written about literature, history, and culture for The Atlantic, The Chicago Tribune, The Daily Beast, The Huffington Post, The Los Angeles Review of Books, The New York Times, The Wall Street Journal, and NPR. She is a former faculty member at UCLA and Reed College.